I am shamelessly obsessed with the Bible. I figure, as far as obsessions go, that isn't a bad one to have! Ever since I became a mother I have searched for ways to pass on that love of the Word, so I am always on the lookout for really amazing Bibles and Bible storybooks to share with my children. I am a little on the picky side: I'm kind of hard-nosed about accuracy and thoroughness. I feel like there are children's Bible storybooks that tell Bible stories in a manner children can understand and relate to, and then there are ones that are worse than Hollywood versions of your favorite book-so far removed from the original that the only thing that's the same is the title. You know what I mean? 1. "The Beginner's Bible" from Zonderkidz (3-6 years) We started using this Bible with our kids when they were about 3 years old. As a matter of fact, each of our kids have their own copy, and they are both so well-loved that the bindings are broken! This one is great because the stories perfectly fit the attention span, and understanding, of the average preschooler. Then, as your child begins to read, they can start to read this Bible to you! My son, who is 8, still sometimes reaches for this one because the stories are so familiar. This isn't the most thorough of versions, but it is a great place to start. 2. "The Jesus Storybook Bible" by Sally Lloyd-Jones (4-8 years) This is probably one of the most recommended kids' Bibles, and while my kids really enjoyed it, it isn't my personal top pick. It is even more of a "story" format than most kids' Bible books. It is written in an unusual style that uses many capitalized words that appeal to adults, but I think can be a little confusing for children to read on their own (Example: ..."God would love his children-with a Never Stopping, Never Giving Up, Unbreaking, Always and Forever Love". pg. 36) I would have preferred that the pronoun "His" be capitalized and not necessarily all the adjectives for love-a little nit picky, I know, but I'm just being honest! My husband did not care to read out-loud from this one because of the writing style. However, I loved how it wove together the entire Bible as one cohesive story, and some of the phrasing brought tears to my eyes. The author does a great job of covering the Old Testament books of prophecy (Ezra, Malachi, etc. ), but she completely skips the entire books of Ruth and Esther, which was disappointing to me. So, while this is a very lovely storybook, I wouldn't personally use it as our sole children's Bible. 3. "The Big Picture Interactive Storybook Bible" from BH Kids (5-10 years) This is a recent purchase, and it came highly recommended. I purchased it because our church is using "The Gospel Project" curriculum, and I *LOVE* it! The whole focus of the Gospel Project is to see the entire Bible interpreted through the lens of Christ's gift of salvation. Each story is a concise one page, and includes discussion question and how each story relates back to Christ. I love that it covers the fall of Israel in the Old Testament, often children's Bibles tend to gloss over that portion because it is so complicated, but this one is very thorough while remaining age-appropriate (It covers Hosea and Gomer very tactfully!). With cute illustrations, and meaningful text, this is quickly headed to the top of our list. Even if your church is not using "The Gospel Project" this is still a great addition to your kids' Bible library. Also, an added bonus: the book works with a free app that provides short summaries for each story, in addition to showing a "3D" version of the illustration. For key stories, there are adorable videos, narrated with all of the text, that you can view. My kids loved that part! 4. "The Children's Bible in 365 Stories" (6-10) I purchased this at a thrift store on a whim, and it was definitely worth it. It is very reminiscent of my childhood (although I didn't use it then) and before we purchased "The Big Picture" Bible, was the most complete children's Bible storybook I had ever seen. I love how it is divided into use for a year's reading. The language is a tiny bit complicated, not overly so, but enough that for younger readers it makes for a better read-aloud. There's no squirming here-even David and Bathsheba, Sisera and Jael are covered, so you may want to peruse each day's selection beforehand. I am of the mindset that if it made it into the Bible, then I probably shouldn't hide it from my kids', I just need to handle it in an age-appropriate manner. This Bible doesn't include very much from the Old Testament prophets, and skips over some stories (Achan's sin) while including other more unusual ones (the Gibeonites' deception). 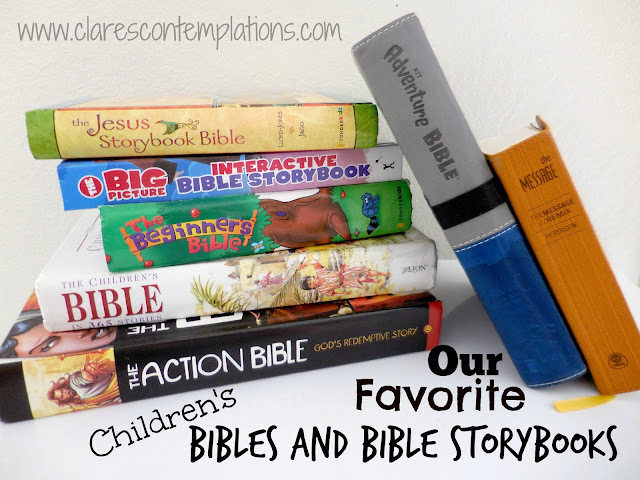 Overall, if you have to pick between this one and "The Big Picture" I'd choose "The Big Picture", but they are both good, and the old school style of "The Children's Bible" appealed to my kids, so you can't go wrong with both. 5. "The Action Bible" from David C. Cook (8-12). My kids are *obsessed* with this Bible! I was a little hesitant: it *is* the Bible in comic book format, but my husband really wanted to purchase it for our son. What surprised me is that our 10 year-old daughter is just as interested in it! I haven't read this in it's entirety, but it is a great supplement to other Bible tools. Due to how it is written, it would not make for a good read-aloud, so I only recommend this for kids that can read and comprehend independently and have a firm understanding that, unlike Spiderman and Batman, the Bible is real and this is just another way to gain insight. The illustrations are exciting without being irreverent. My kids and my 12 year-old brother couldn't get enough of the dragon from Revelation. I also noticed that it includes a little bit of what happened between the Old and New Testaments, and some historical background on the world during the early Church years. I really liked that, as it wasn't until I was an adult I was able to put those periods in context. This is definitely the most "fun" and least "devotional" of any of my recommendations. It reminds me of "The Book of God, the Bible as a Novel" by Walter Wangerin Jr. It is really a supplement to other Bible study, and I wouldn't recommend it as an independent Bible, but more as way to get kids interested in the Word. 6. "The Adventure Bible" from ZonderKidz (6 and up) This is an actual Bible, and is available in several translations. My kids both have the NIV version, and the reason I recommend this particular Bible (in any translation) is because it has so many great helps and is a good introduction to study Bibles. It includes footnotes, maps, a glossary, subject index and more. It also has suggestions for how kids can apply the Bible to their own lives. I used an older version of this Bible as a child and I loved it. It has so many practical, helpful additions, but the actual Bible text is definitely the star of the show, which is how a Bible should be! Also, this Bible is available in a version for younger independent readers, the NIrV. 7. "The Message" from NavPress (10 and up) Paraphrased by Eugene Peterson from the original Greek and Hebrew, this is actually a really great translation. I know many people contest that it is a translation, but you must translate to paraphrase, right? This Bible is so accessible, and surprises me often with its fresh, straight-shooting interpretation of the Word. Why do I recommend it for kids? It gives a great perspective on the Bible, and when paired with another more literal translation, can really help kids to see that the Bible applies to *our* lives-it isn't just old (albeit cool) stories from another era, it is about us, here and now. Peterson doesn't pull any punches, and his wording for some of the more hard-hitting parts of the Bible can make you wince if you aren't watching out. (Jesus' words to the Pharisees, or parts of Isaiah for example). It eliminates some of the confusing Bible language (using "dollars" instead of things like "shekels" in the New Testament) so kids' can see the heart of the story. It isn't so "hip" though that the really meaning is overlooked. However, use with caution. Due to some of the more "modern" language, there are occasionally words that you may not be comfortable using with your children (The way "prostitute" is translated in Matthew 21 is a good example. ) I choose to read this version aloud, so I make adjustments with the words that I prefer not to introduce just yet, but that is definitely something of which you should be aware. With all that said, I highly recommend that you are thorough when choosing any type of Bible-related book for your family. I try to use recommendations as a jumping off point, since there are so many possibilities, rather than a checklist of must-haves. Check these books and versions out for yourself, and be sure and let me know if you have any that I didn't mention that your family adores! This is probably one of the cutest thank-you gifts that I have ever put together. 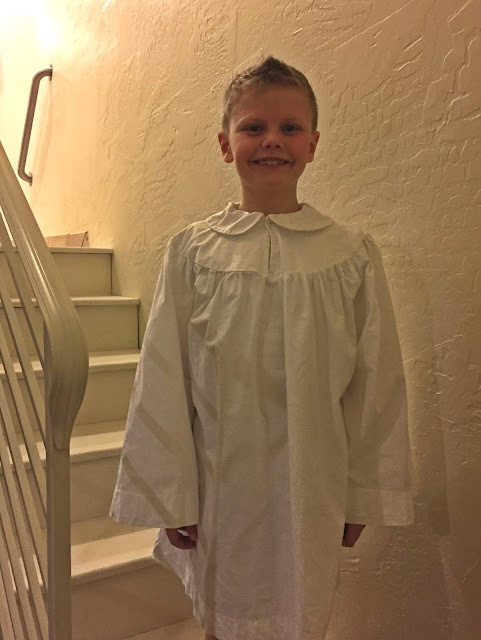 I was searching for a thank-you for my kids' Awana leaders last year and I needed a gift that would work for both males and females. It is shockingly difficult to find something suitable to give guys that doesn't cost a fortune! Well, thanks to the help of my sister, Katy, I put together these fabulous "So Much S'more Kits" and I couldn't have been happier! These truly are so much more than just a typical marshmallow-graham cracker-chocolate gift. I included a variety of crackers, 'mallows and candy, plus some fun extras (Nutella and peanut butter!) so your recipient can get wild and crazy with their combinations! The packaging really makes the whole thing-everything is cuter in a Mason jar, amiright? This might seem like a dizzying array of ingredients, but I was putting together six jars, so nothing went to waste! Here's what I purchased, but you can mix it up however you like. -Chunky Chips Ahoy cookies, because obviously, I believe you can never have too much sugar! And, of course, don't forget your clean Mason jars! You know I can't leave well-enough alone, so I had to pretty things up a little. I cut a strip of scrapbook paper to wrap around the graham cracker stacks, so they didn't look so plain. I purchased tiny zip-top bags in the candy section of Hobby Lobby so I could divide up the marshmallows, and cookies. I bought straight-top cellophane bags for the Ritz, as they did not fit in the zip-top ones. I closed those with tape. Each jar fit six pieces of candy, so I just mixed and matched to use what I had evenly. Buy a careful process of trial and error, I discovered the best way to pack the jars, if you are using the same items. First, I put the graham stack in, and placed the Ritz on one side. I then put both Hershey's bars vertically side-by-side, on the other side. Then I stacked the 3 Musketeers/Milky Ways on the third side. I did a second layer with the marshmallows. It's pretty easy to see how I put them in there, just start with the S'moresMallows first, as they are the biggest. Then the cookies fit perfectly on top. Simply close with the lid, I covered my lid with a circle of scrapbook paper to make it cuter before I put on the ring. There is no need to do anything more than stick a glue dot on it to center it as the ring will keep it in place. You are probably wondering: where are the toppings? I realized they wouldn't fit in the jar, but I was loathe to not include them with the gift. So I came up with a solution. I wrapped them together with more scrapbook paper and placed them on top of the gift! You can see how I wrapped them better in this photo. You can also see the *cute* scrapbook paper I found at Hobby Lobby that set my color scheme-love that it even says, "S'mores" right on it! I tied the jars with coordinating ribbon, and used my two and half inch circle punch to cut out a backer for my label. I then cut out the label with a two-inch punch. I cut the label for the toppings with a one-and-a-half inch punch. You could definitely attach the tag more simply, just punch a hole in it and tie it on with ribbon. If you don't include the peanut butter and Nutella or something similar, you can skip the other label all together. It would be easy to use these labels on simple kits with just grahams, chocolate and ordinary marshmallows, but everyone loved all the options-even if they did just plan on eating them straight from the jar! Get the "Thank You" Printable. 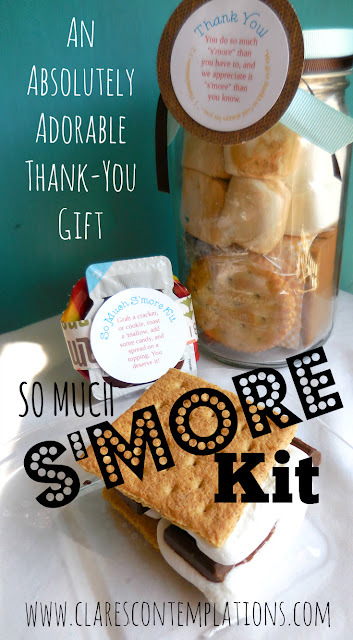 Get the "So Much S'More Kit" Printable. I'm trying out a new way to allow you to access printables. 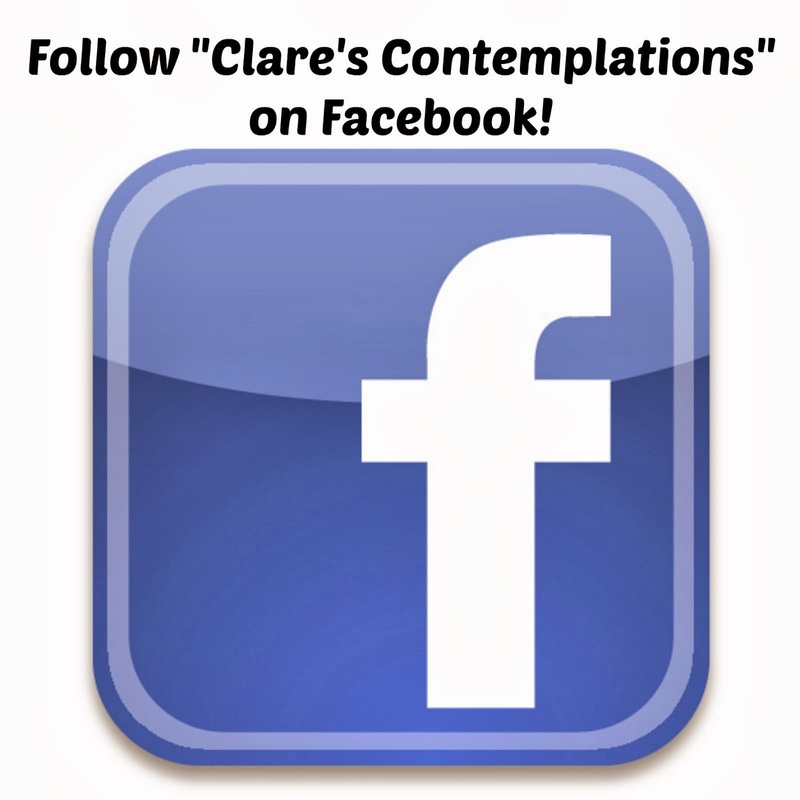 Please let me know if you experience any problems! It's that time of year, again. You might be thinking, "Spring?". Well, yes, spring, but also time to start thinking about teacher appreciation gifts! School won't end here until June, but I know that isn't the case for the majority of the United States. Besides, there are plenty of other people that you may want to start planning tokens of gratitude for, such as: sports coaches, Awana leaders, or, in my case, your fellow co-op teachers! 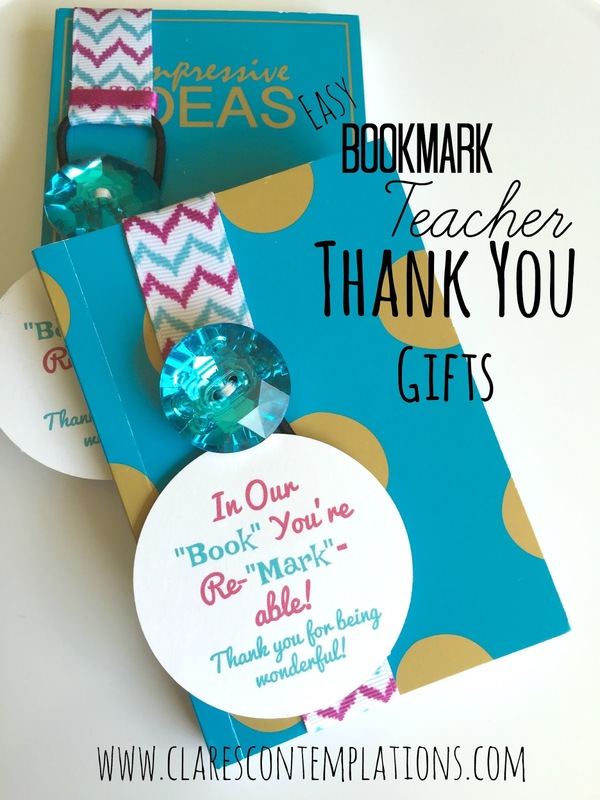 These simple elasticized bookmarks are so easy to put together. I ran mine through the sewing machine, which really only took a matter of minutes, but you could choose to make them "no-sew" and use a strong-hold craft glue or hot glue to put them together instead.. 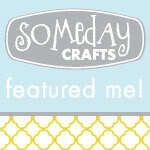 These fabric bookmarks are so cute, and they are really inexpensive! - Hair elastics I choose smaller ones, I don't usually use ones that are this thin for my hair, as they don't hold it well. I can't remember exactly how much these were, I believe around $2 for 36 from Walmart. You could definitely pick up some from the Dollar Tree, too. Cut your ribbon to the desired length. I cut mine about 15 inches long, to give me room to fold it over the elastic. I also then heat-sealed the ends by holding them over a burning candle to fuse the threads. This isn't absolutely necessary for the end you will be sewing, but it will help to keep the ribbon from fraying, so you will definitely want to do it to the button end. Then I folded one of the ends under about an 1/8 of an inch, and then folded it over the elastic, leaving enough room to stitch it down. I sewed over it several times to make sure it would hold. Once you have stitched all the ends, you will sew your button on the opposite end, so the bookmark can be secured around the pages of a book. Hand-stitching all the buttons on is a great project to do while watching tv! You could glue the button on, too. but I like hand-stitching and I thought it would be most secure, so I did. The hand-sewing was even easier because I choose a button with only two holes. Don't sew the buttons too close to the end of the ribbon, as you don't want them to pull off. To finish the bookmarks, I choose to glue a tiny piece of coordinating ribbon over the stitching on the end with the elastic. I picked up the ribbon for $0.50 at Walmart and used the most minuscule amount, it was about an inch and half for each bookmark. I picked up these little notebooks at Michaels in packs of two for $2. I was thrilled that they matched the bookmarks. I considered buying actual books, but since I wasn't certain about the reading preferences of the recipients, I went with something more universal. I needed to fold the bookmark fabric over in the back and paperclip it to make it the right size, and then I attached the printable with a glue dot. I gifted mine with little bags of coordinating chocolates (For my ribbon, Dove had pieces that were just the right colors!) but you could definitely attach a gift card for a bookstore or coffee shop to your's. All of the teachers at my co-op were thrilled with them! I was glad that I could put them together for less than $0.75 each! It is really tough when you have more than 2 or 3 people that you want to thank, and I needed about eight. Even with the notebooks and the chocolates, they were still around $3. I think having a handmade element is always such a nice touch to any gift. Right click image to save, print from saved location on letter size (8.5x11) card stock.